This is going to be an out of order week for me workout-wise which isn’t necessarily a bad thing. It’s good to keep your body confused as much as possible. Because I am not going to do chest/bench work until Wednesday it slid my other workout days ahead one spot, meaning today I did lower body weight work. To add to the confusion I just ran five and a half miles with Cindy on Sunday. Lifting the day after running a decent amount isn’t a formula I utilize very often if ever. I didn’t get to start with the max effort part of the workout like I typically prefer either. 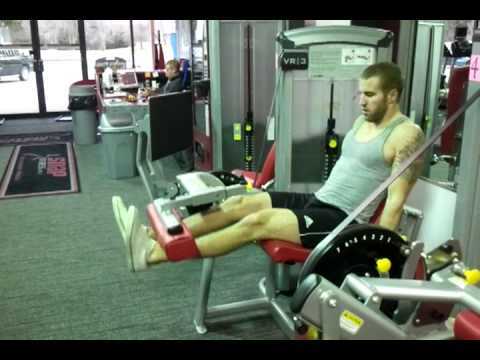 I didn’t get on the leg press sled until after I did leg extensions and curls adding more muscular confusion. Things went ok but I think I will be writing a pain check tomorrow which will be expensive considering I need to get my cardio work in.